When you’re relaxing with a cup of your favorite coffee, do you ever wonder about the coffee beans’ journey? How did it get from a bean on a tree to that delicious flavor in your cup? Every decision we make is based on honoring the hard working farmers that are at the beginning of that journey. All our coffee is purchased through Cooperative Coffees, a fair trade purchasing cooperative that we co-founded in 1999 to ensure we would always know exactly where our coffee is grown, who grew it, how they are treated, and the resulting benefits they receive from this unique direct trade model. We believe that this form of conscious, direct trade with transparency at all levels can be scaled over time to create an alternative economic relationship between the consuming “global north” and the disadvantaged producing “global south.” We believe so strongly in the transformative possibilities of fair trade that we named our company after the people with whom we trade. Café Campesino…Coffee of the Small Farmer. Why do we insist on trading this way? We know that when we purchase coffee through fair trade cooperatives, we’re helping farmers raise their families out of poverty, providing an opportunity to improve their communities’ infrastructure, and giving their children a chance at an education. Fair trade can help reverse a world economy traditionally based on taking advantage of inequalities and ignoring environmental needs. A commitment to fair trade means companies (like us) consciously make strategic decisions that positively impact people and the environment instead of solely focusing on the lowest cost or most convenient action. According to the World Fair Trade Organization, fair trade “is a trading partnership, based on dialogue, transparency and respect, that seeks greater equity in international trade.” Farmers and craftspeople in developing nations do not have the same access to markets as businesses in developed countries. A commitment to fair trade gives those producers have a fair and sustainable opportunity to compete in the international market. Businesses committed to fair trade always consider the social, economic, and environmental impact of their actions. 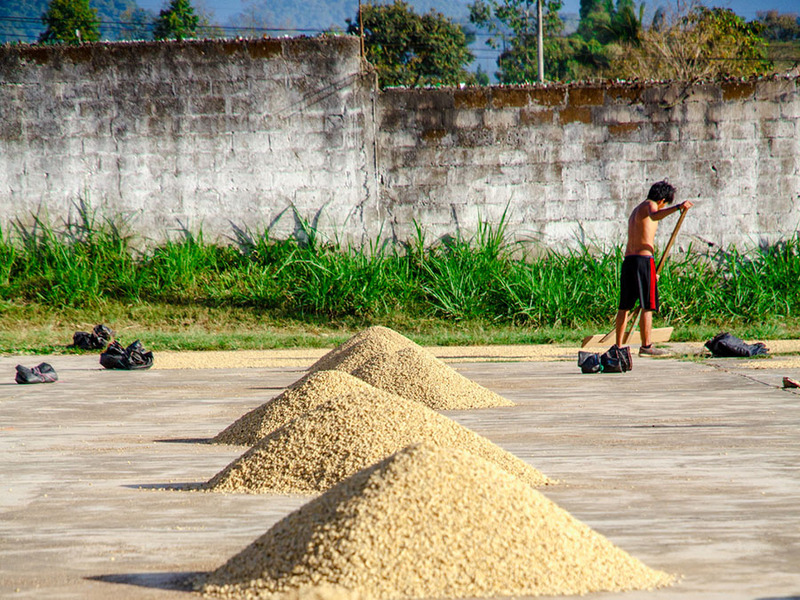 What are the benefits of Fair Trade coffee? Fair trade is environmentally responsible. It helps small farmers cultivate their lands in a sustainable manner. When farmers are paid fairly, they don’t need to cut down forests to plant more coffee crops. Fair trade changes farmers’ lives and improves their communities. It helps them achieve financial stability and economic independence. It breaks the cycle of dependence on middlemen who did not necessarily act in the best interest of the producers and empowers small farmers through the formation of cooperatives. These cooperatives mean they now have access to credit, opportunities to learn better and more sustainable farming techniques, and access to marketing and technical assistance. Most importantly, being part of a cooperative means small farmers no longer constantly worry about meeting basic needs food, housing, health care, and education. The cooperatives help provide those needs by building schools, providing access to health care, and improving infrastructure, all of which improve the standard of living for the farmers, their families, and their communities. What does it mean to be a Fair Trade company? Fair trade clearly has a positive impact on small farmers. When you make a conscious decision to purchase fair trade coffee, you’re helping those farmers improve their lives, their children’s lives, and their communities’ lives. A small decision – what kind of coffee you purchase – can make a significant and positive impact on many people. The next time you’re relaxing with a cup of your favorite coffee, think about the communities that produced the coffee beans. Think about how you, by purchasing fair trade coffee, have helped those communities improve their standard of living and given their children a chance at a better future. You can make a difference in the world, one great cup of coffee at a time! Your friends still aren’t convinced? The Fair Trade Federation has a great list of fair trade myths that dispel common misconceptions about fair trade. The World Fair Trade Organization also has compiled a list of additional fair trade resources.